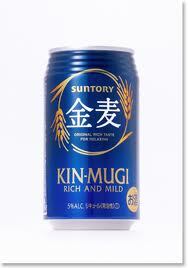 The nostalgic ad campaign for Suntory’s hugely popular drink Kin Mugi has proved a hit with middle-aged men who are pining for the simple charms of yesteryear. The campaign depicts a smiling wife played by actress Rei Dan who, while waiting for her husband to return home from work to down a few refreshing glasses of beer-like Kin Mugi, passes the time by enjoying fireworks, running through clouds of cherry blossoms and posing cutely in a yukata. Though men are lapping up the nostalgic picture of the carefree, stay-at-home cutie, some women of the same generation find the whole thing deeply offensive.